The Salesian Society is a Religious Organisation within the Catholic church. It was founded by DON BOSCO. The Father and the Teacher of Youth.” This Society conducts educational centres in more than 130 countries. 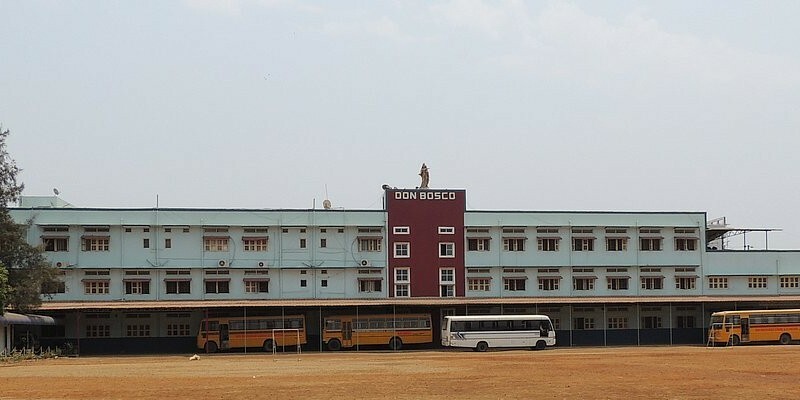 Don Bosco High School, Naigaon (E), in an English Medium Co-Ed school conducted by the Salesians of Don Bosco. It was founded in 1999. Don Bosco High School is Primarily for the Catholic Christian Minority and is conducted under minority rights. However it offers its services to all, without distinction of caste or creed. Its Catholic educators consider it their duty to show due respect to the religious feelings and the freedom of conscience of their non Catholic pupils. Catholic students are given a suitable course of religious instruction. Non Catholics are taught Value education which is a course in their fundamental duties to God, to their fellowmen and themselves. Like other Salesian institutions, the aims and the objectives of Don Bosco High School, Naigaon (E), include an integral development of the pupils in addition to academic excellence. Its aim is to impart sound education, instill praise-worthy character, create balanced judgement and achieve a robust physique, so as to enable its pupils to blossom into good citizens capable of assuming responsibility and ready to face the challenges of the modern world.